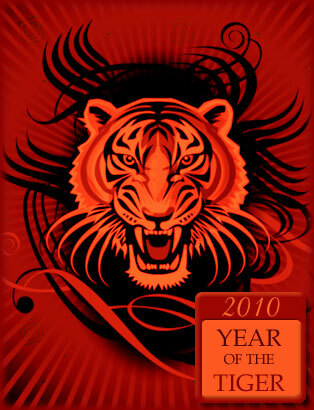 The Chinese New Year, the Year of the Tiger, begins on February 14, 2010. "The Chinese New Year is now popularly known as the Spring Festival because it starts from the Beginning of Spring (the first of the twenty-four terms in coordination with the changes of Nature). Its origin is too old to be traced. Several explanations abound. All agree, however, that the word Nian, which in modern Chinese solely means "year", was originally the name of a monster beast that started to prey on people the night before the beginning of a new year (Do not lose track here: we are talking about the new year in terms of the Chinese calendar). One legend states that the beast Nian had a very big mouth that would swallow a great many people with one bite. People were very scared. One day, an old man came to their rescue, offering to subdue Nian. To Nian he said, "I hear say that you are very capable, but can you swallow the other beasts of prey on earth instead of people who are by no means of your worthy opponents?" So, swallow it did many of the beasts of prey on earth that also harassed people and their domestic animals from time to time. 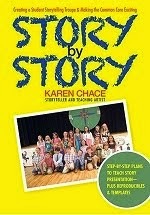 Here are some Chinese folktales and terrific tiger tales to help you celebrate in style!